Once I got the carpet and dash out, the surface rust was clear and evident. Even the roof was covered in it. 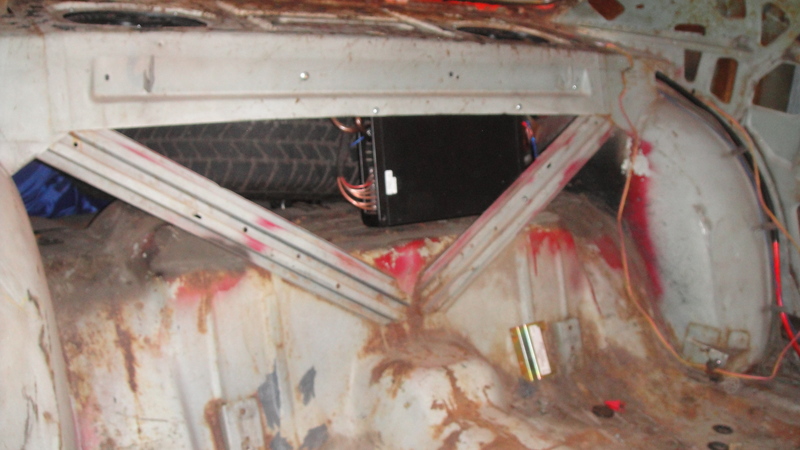 This first photo also shows that a small fire had occurred at some point under the dash. Time to get out the Wire Wheel and the grinder! 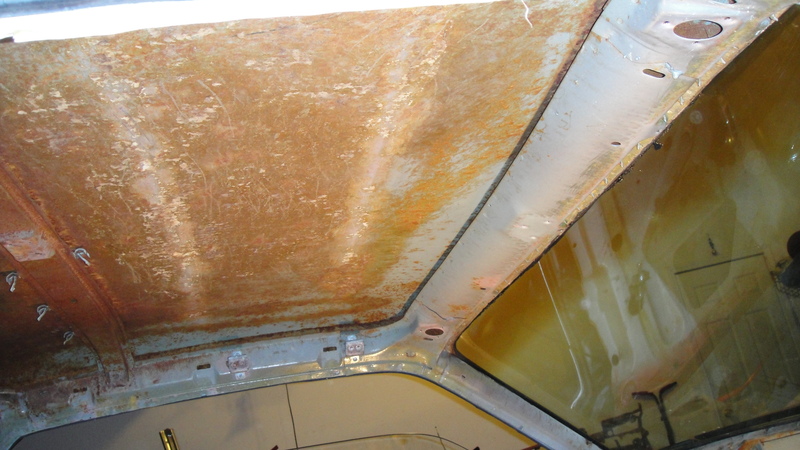 Fortunately all of the rust was just on the surface so no structure damage was done and very little pitting.